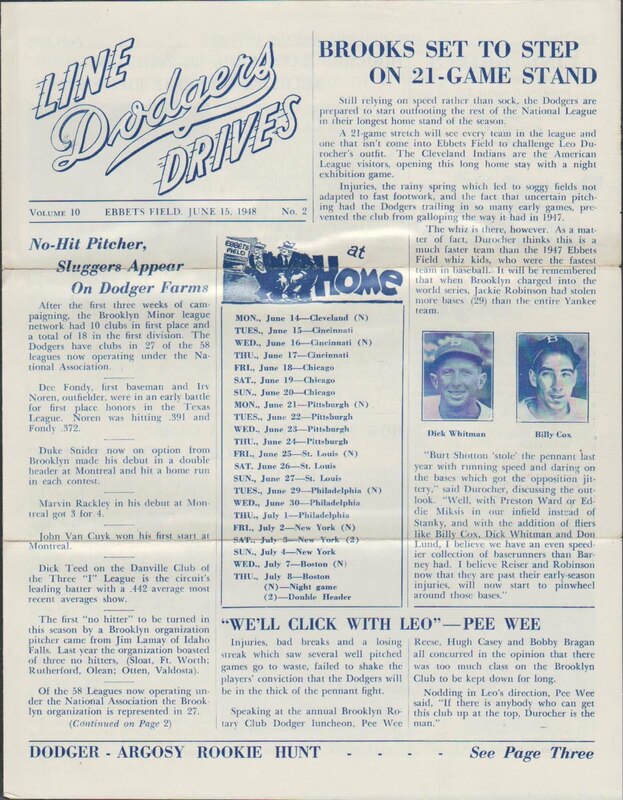 Of note, it mentions the first no-hitter thrown by a Dodger (either in the Majors or Minors) that year. It was thrown by Jim Lamay of the Idaho Falls Russets in the Pioneer League against the Pocatello Cardinals, 6-0. Lamay pitched four seasons of minor leagues, but never advanced above the Class C level. The newsletter also makes note of fast rising minor league prospect Duke Snider. He had gotten a cup-of-coffee the prior season, and began the year with Brooklyn before being sent back to Montreal for some additional seasoning. He had slashed just .158/.256/.395/.651 in 43 plate appearances for the Dodgers. 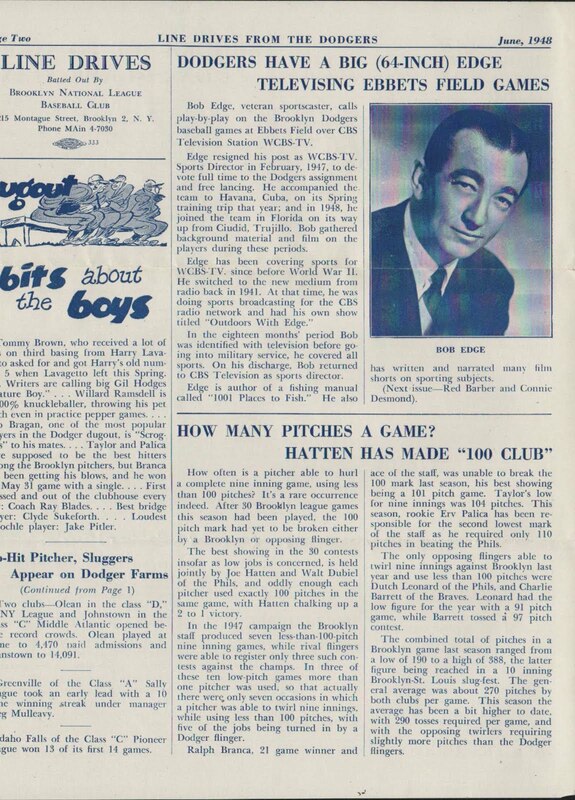 The newsletter mentions that Duke debuted with Montreal during a doubleheader and proceeded to hit home runs in each game. There is an introduction of a Dodgers Broadcaster named Bob Edge. He had began doing play-by-play for the Brooklyn Dodgers in 1947 for CBS. I am uncertain how long he remained with the club. 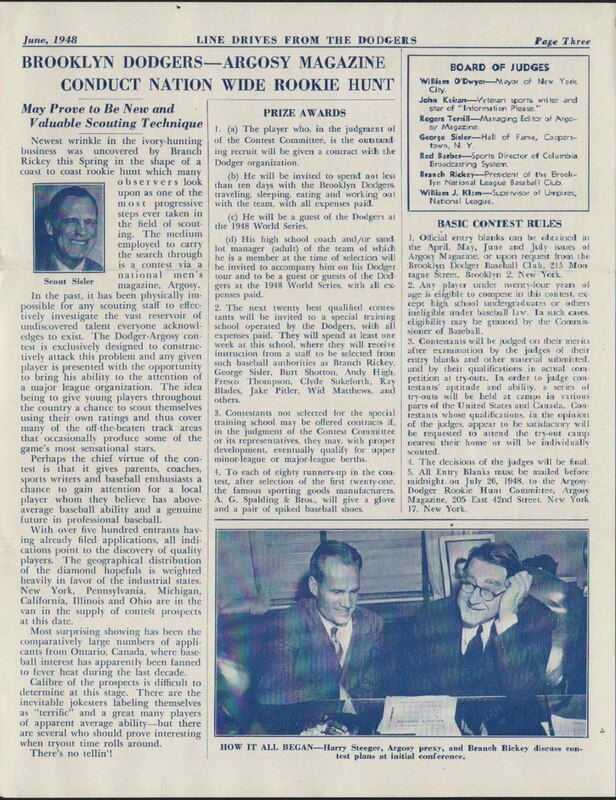 Another story tells fans of an brand new Dodgers initiative to scout the country for new Baseball talent, via a contest through men's magazine Argosy. I should note that future Dodgers hurler Billy Loes was chosen in September 1948 as the "Recuit-of-the-year" in this contest. 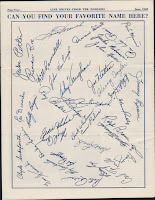 The 18-year old was immediately signed to a contract, and would eventually play on Ebbets Field two years later. 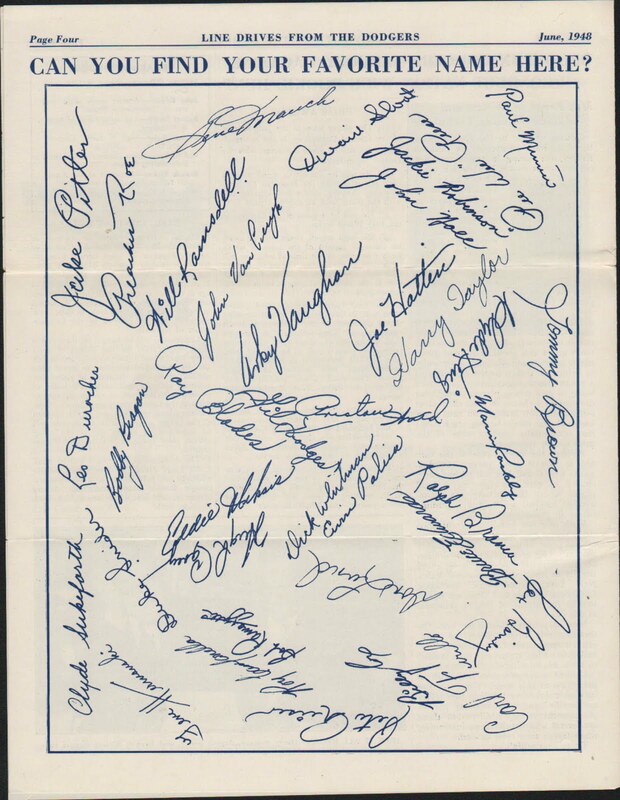 On the last page there is a fantastic facsimile autograph sheet featuring the Dodgers. 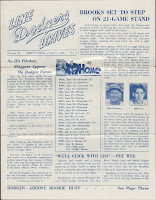 A big thanks to Dodgers collector Doug for passing this newsletter along.